F&M (Edmonton's Ryan and Rebecca Anderson) is a baroque-pop outfit with a penchant for dark lyrics and mesmerizing melodies. For more than 10 years, the couple have been indispensable stalwarts — releasing six of their own albums and touring through Canada and Europe. F&M’s forlorn cover of “Maybe Tomorrow” from TV’s The Littlest Hobo was featured in the modern hockey classic, GOON. All of the band's full length albums have appeared on the Earshot charts — including 2010’s "Sincerely, F&M" (Shameless Records), which was N0.1 on the national folk charts for six weeks. 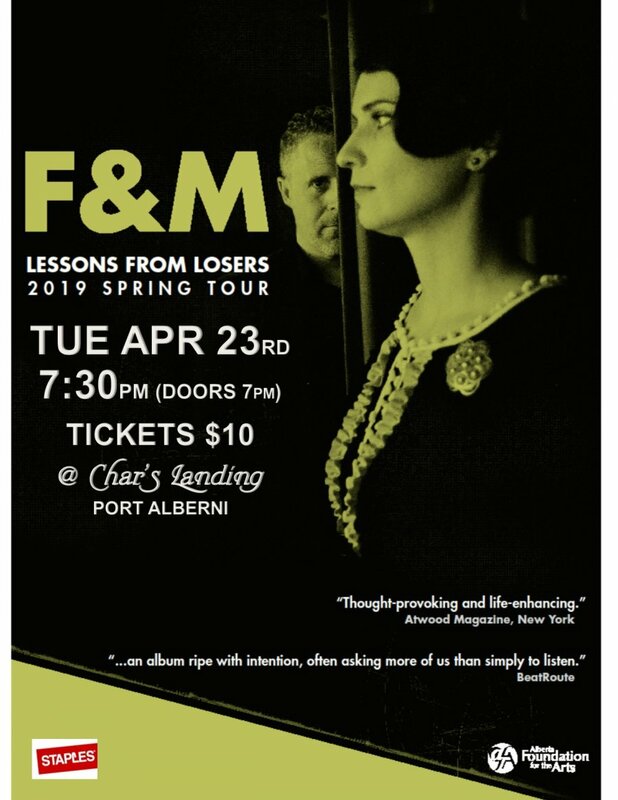 Their latest release, "Lessons From Losers" follows 2014’s "At Sunset We Sing," which was also shortlisted for the Edmonton Music Prize and earned a Best Alternative Album nomination at the Edmonton Music Awards. F&M were recently featured by The National Music Centre, and the performance recorded live for CBC Radio.